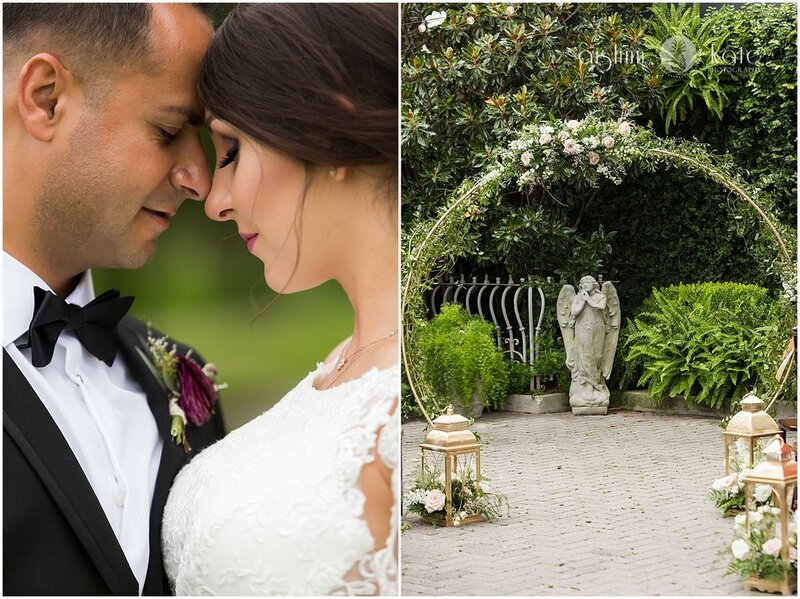 Elena and Wadih’s downtown Pensacola wedding at 5Eleven Palafox was in a word, stunning. I know I have said it before on the blog (more than once! 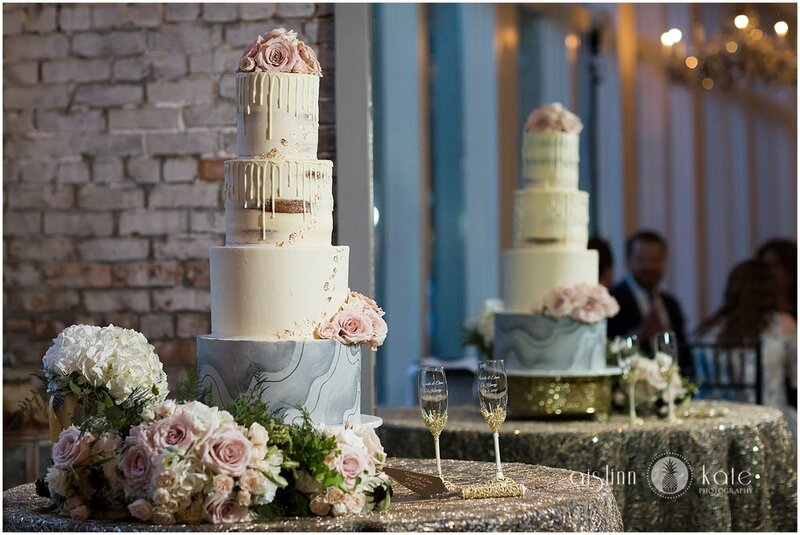 ), but downtown Pensacola weddings hold a special place in my heart and 5Eleven is truly one of my favorite wedding venues! 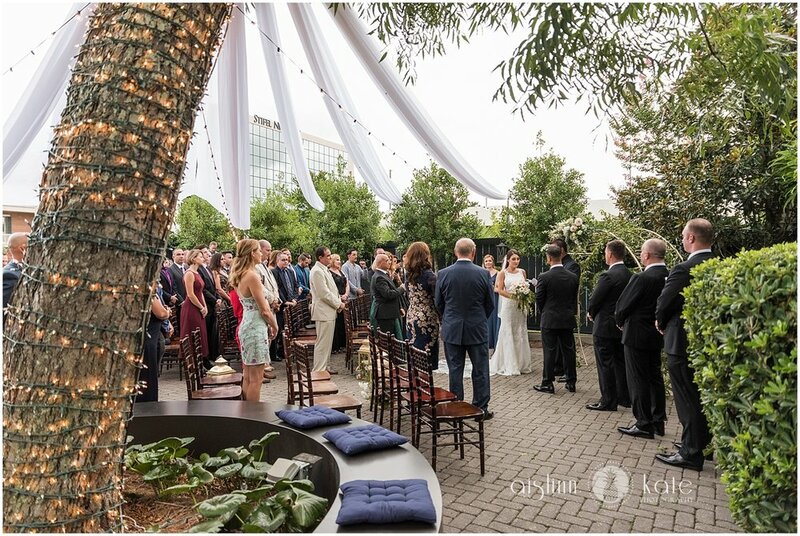 I was thrilled when, midway through planning, Elena told me they had changed plans and booked 5Eleven Palafox for both their ceremony and reception! The space itself is exceptional, but their fantastic vendor team took it to a new level with gorgeous white draping and twinkle lighting throughout the interior and courtyard, an amazing gold circular arbor adorned in lush florals and greenery, and THE most incredible four tier cake, with marble swirl and edible gold leaf detail from Blue Jay’s Bakery. 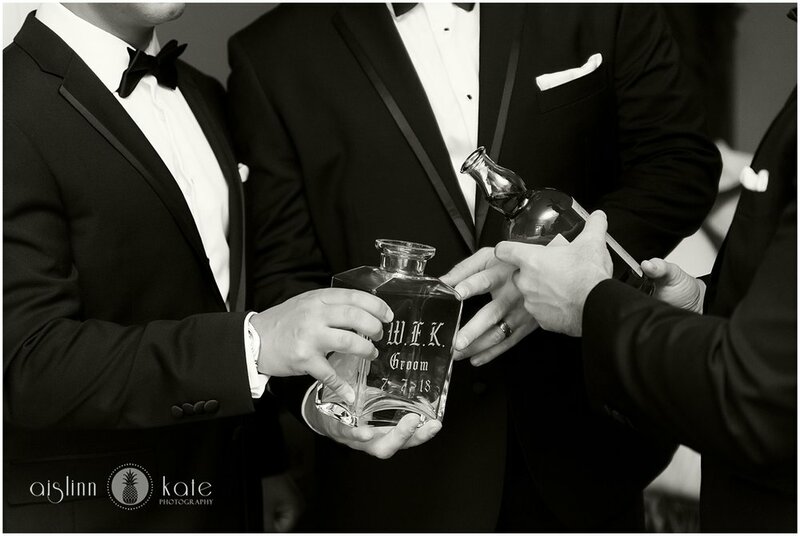 Every detail was perfection and they all came together seamlessly to create an atmosphere of modern elegance. I so loved seeing Elena’s vision for the day come to life and couldn’t have been happier that she chose us to document it all. 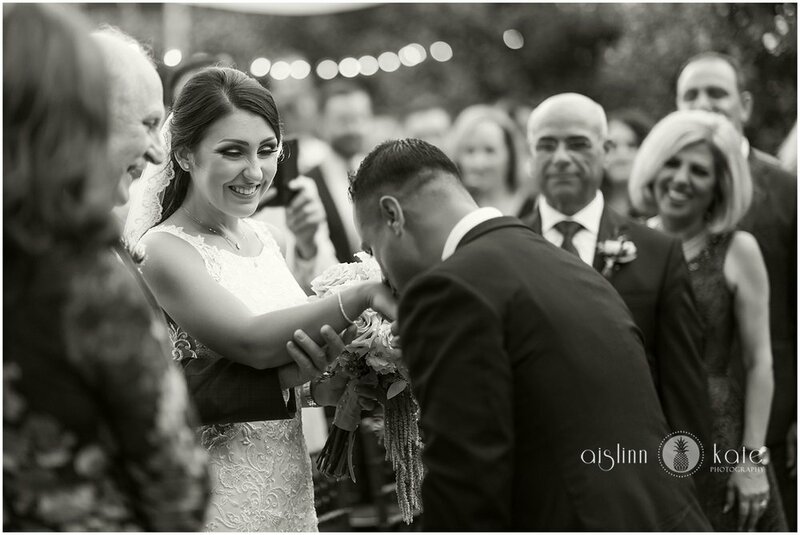 Elena and Wadih, thank you so much for trusting us with photographing your 5Eleven Palafox wedding! 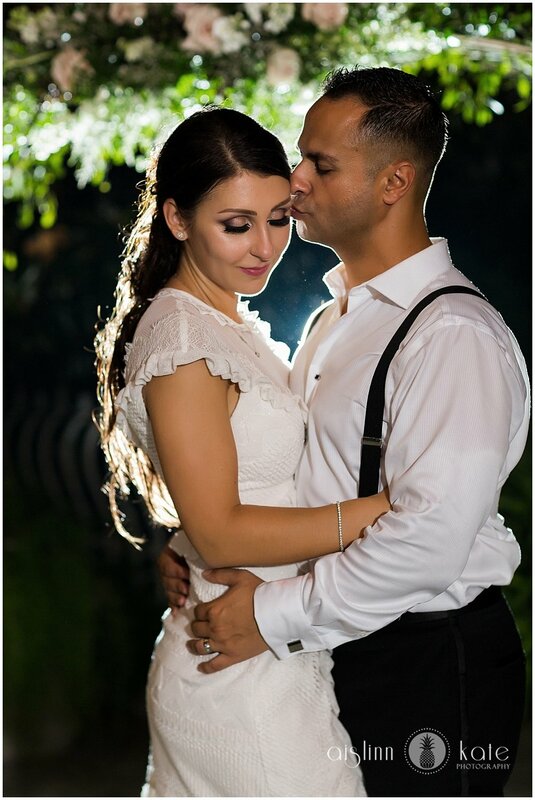 We loved being a part of your day and are so excited to share just a few of your gorgeous photos!